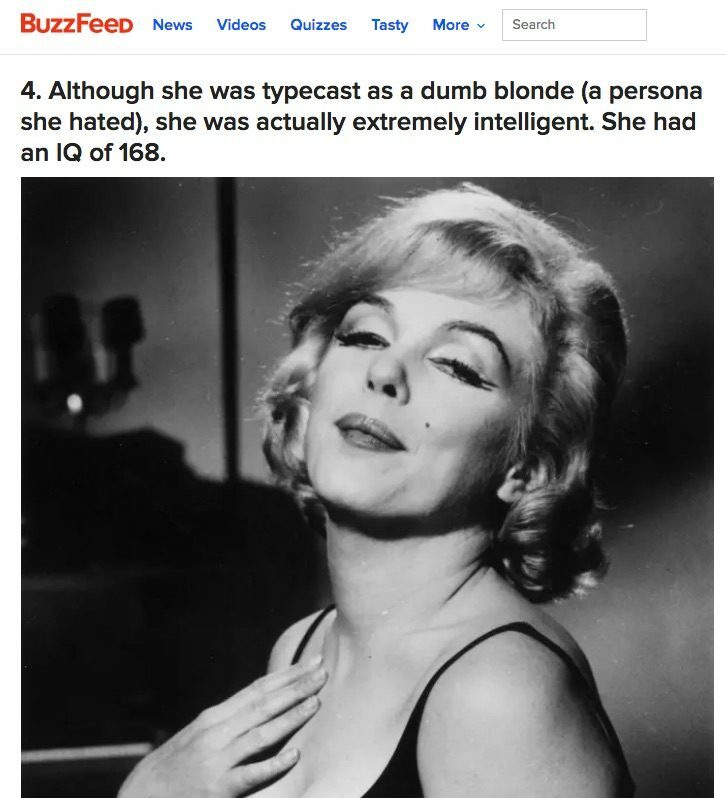 FACT CHECK: Did Marilyn Monroe Have an IQ of 168? Did Marilyn Monroe Have an IQ of 168? Claims that Marilyn Monroe had an extremely high intelligence quotient are frequently offered up without any proof. Marilyn Monroe's intelligence quotient was measured at 168. Marilyn Monroe had an IQ of 168. No citation was provided for the early appearance of that claim, but its wording indicated it may have formed the basis of subsequent rumors. 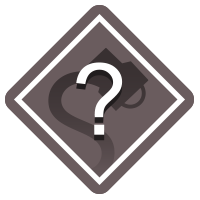 Among intelligence tests for children, one test currently dominates the field: the WISC-III, the third revision of psychologist David Wechsler’s classic 1949 test for children, which was modeled after Army intelligence tests developed during World War I. A version for adults was introduced in 1955, when Monroe was nearly 30. We uncovered no evidence that the star had been tested using what were then relatively new psychological screening methods used primarily in relation to schooling and the military. Chronologically, it is possible that Monroe had undergone such testing, but there also is no reason to believe she had done so in an era when IQ tests were uncommon. Monroe’s early life was known to be marked by unrest and instability, and she spent much of her childhood in foster care. The tumultuous environment in which Monroe was raised seemed unlikely to have included intelligence testing; she married just after she turned 16 and became a homemaker before reinventing herself in her twenties. I’ve never come across any information or details on Marilyn actually having been tested on her intelligence quotient. I was lucky enough to have viewed the contents of her personal files on multiple locations. There were no records present of her having been tested. She was very sensitive about her education. It’s known widely that she never graduated high school, but she did focus on self improvement and development throughout her life. Her personal library contained over 400 books on a variety of subjects, reflecting both her intelligence and her wide-ranging interests. No surprise to those familiar with Monroe, they were the books of a well-read and inquiring mind. Works of Literature, Art, Drama, Biography, Poetry, Politics, History, Theology, Philosophy, and Psychology covered the walls in her library. Among the First Editions was her own copy of The Beat Generation classic On the Road by Jack Kerouac, Ralph Ellison’s The Invisible Man and William Styron’s This House on Fire. From Tolstoy to Twain, many other classic works of literature were represented, including her copies of The Great Gatsby, Alice’s Adventures in Wonderland, James Joyce’s Dubliners, Hemingway’s The Sun Also Rises, and The Fall by Camus. Her library also contained books on gardening, her Bibles, and children’s books, including her own copy of The Little Engine That Could which was possibly marked with her own childish scrawl. Shoes? Yes, there were several pairs of black suede Ferragamo stilettos with worn heels. But Marilyn — brace yourself for another shocker — was more into books than shoes. Her poignant desire to cultivate her mind and give herself an education resulted in an extensive library of first editions. Take that, Carrie Bradshaw! Although Monroe was known to be more scholarly than her public persona indicated, we were unable to find any proof that her intelligence quotient was measured as 168 with any test at any time. Monitor on Psychology. January 2009. Monitor on Psychology. February 2003. Academia.edu. Accessed 23 May 2017.